In this edition of the No Jitter Roll, we look at announcements that cover the gamut of communications -- user experience, team collaboration, development/CPaaS, UCaaS, and meetings -- from providers Cisco, Atlassian, Twilio, Masergy, and LogMeIn. Enterprise users had their confidence shaken up a bit this week when popular team collaboration platform Slack experienced nearly four hours of outage the company attributed to "connectivity issues," causing users to take to Twitter with lots of memes showing their frustration. But not all of this week's news on team collaboration was negative. Accompanying these updates are tweaks like new background, icon, text colors, and notification indicators now appearing to the right of space names. 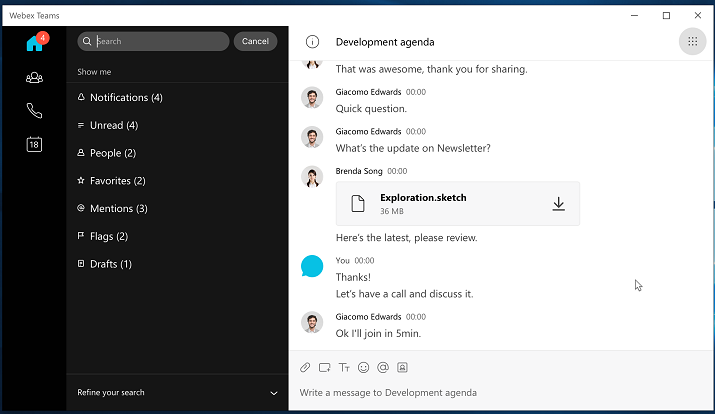 Also now available is an integration for Microsoft Outlook, enabling users to see team member availability, send messages to team members, or start team calls. For meetings, Cisco has reduced the size of the "Join" button; added countdown and time-elapsed clocks as well as a participant counter and collapsible name list; and enabled scheduled meeting notifications to be clickable anywhere to join. 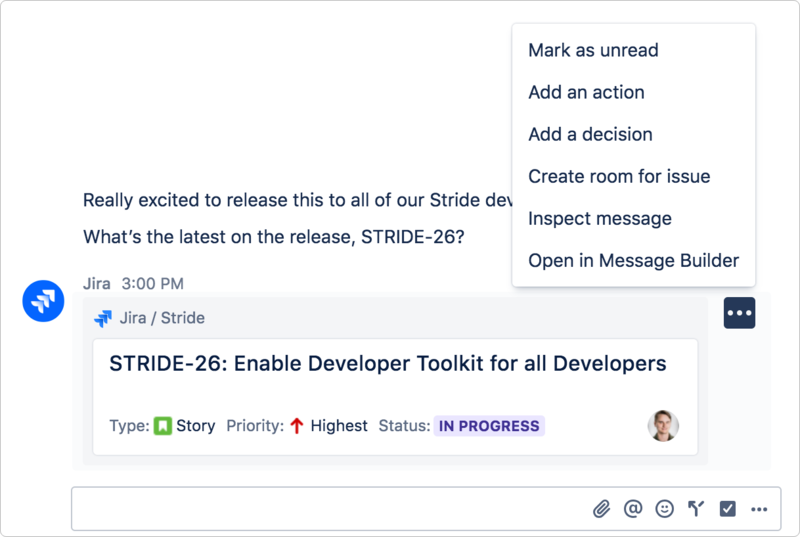 In other team collaboration news, Atlassian this week launched its Stride Developer Toolkit, following on its February release of a new API platform developers can use to build custom apps and bots integrated with its Stride team collaboration app. The toolkit gives developers access to contextual metadata for Stride messages natively, allowing them to preview messages within Stride rather than having to tab over to a browser. When developers enable the optional toolkit, they'll see two new actions on top of each message element -- message inspector and message builder. With message inspector, they can look into message details for tracing and troubleshooting purposes. With message builder, a visual live message formatting sandbox, developers can build custom workflows and automate tasks. Following a beta with Atlassian's app development partners, the Stride Developer Toolkit is now available from within advanced settings. Twilio this week announced Twilio Build, a partner program for its API-based development platform. Consulting and technology partners can choose from basic- and premium-level programs. At launch, consulting partners include Blacc Spot, DVELP, Impekable, Nethram, Perficient, Silicon Valley Software Group, and Vision Point Systems. Technology partners include Zendesk, IBM Watson, VoiceBase, WhitePagesPro, and Ytica, Twilio said. The program comes with benefits like support for partner-specific business models that include lead sharing, co-selling, and other elements, as well as digital training certification for technology partners and role-based certifications for consulting partners. In addition, partners can showcase their offerings in a new Twilio Build Marketplace, and they get early access to Twilio's product roadmap and the opportunity to be the first certified providers of Twilio's customizable contact center play, Flex. For Twilio, Build provides a new revenue stream and sales model, via the marketplace; helps the company build expertise through the certification program; and encourage innovation, said Ron Huddleston, who joined Twilio at the beginning of the year as chief partners officer and is currently building out his internal team of partner professionals. Twilio plans to extend its Build program to new partners in the coming months, he told me. Managed services provider Masergy has added a mobile app that lets companies using its Global UCaaS offering give their mobile workers single number reach, fixed mobile convergence, and high-definition voice and video communications capabilities. "Staying connected and productive on-the-go is essential for today's accelerated pace of business," said Dean Manzoori, VP global cloud communications at Masergy, in a prepared statement. "To keep up, communications applications need dynamic desktop-like features designed for a mobile experience." The app, called Masergy Connect, extends Masergy Communicator Hub functionality to all mobile platforms, providing mobile workers with access to UC capabilities and displaying real-time contextual information from enterprise cloud applications. With the app, users can access corporate directories and participate in meetings, group messaging, and video calling, the company said. In addition, users can sync call logs, buddy lists, and preferences across devices, and have the ability to work in low battery or power saving mode. Masergy Connect is available today for download in the Apple App Store and Google Play as a self-selective upgrade for Global UCaaS customers. LogMeIn this week shared enhancements for its widely used GoToMeeting service, gained in the early 2017 merger with Citrix Systems' GetGo subsidiary, with the goal of improving the way users set up, participate in, and glean insight from business meetings. As evidenced in the smart meeting assistant and cloud recording enhancements, artificial intelligence and automation will factor heavily in LogMeIn's ability to optimize the overall meeting experience, Jim Somers, the company's VP of marketing and collaboration, shared in a recent No Jitter briefing. The searchable transcription service and recordings, for example, will help meeting participants find those "four minutes of gold" -- pieces of a conversation or that one particular PowerPoint slide -- they want to carry forward into their next engagement, he said. "Sometimes that gold isn't evident while we're talking with each other, and it's not until you really listen in or pore over the notes that you find it." As it explores how to improve the meeting experience, LogMeIn focuses on the meta meeting, or the "undertone," as much as the live meeting, Somers added. "The tone of voices, the pace at which I'm talking, the words I'm using -- all those things are giving me insight into the conversation. ... These views into the meta meeting can help inform and guide the interactions we have down the road next time we talk with each other." All the enhancements are available today.